We want to hear from you, if you would like to share your story, please don’t hesitate to contact us. Elaine Lunken. living well with pancreatic cancer! Pancreatic cancer is one of your most deadly cancers with 95% of people diagnosed dying within five years. However if caught early a 30% five year survival rate can be achieved. 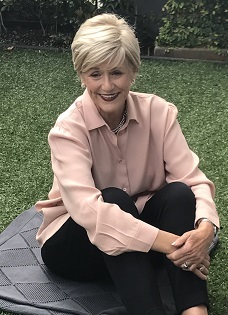 Elaine Lunken, 75 year old leading Auckland business woman, is living well with pancreatic cancer. Elaine encourages people to seek medical help if they experience any symptoms such as jaundice, itchiness and pale coloured stools. Other symptoms include loss of appetite, weight loss, pain especially half an hour after food, and fatigue. Elaine has an extremely positive outlook to living with a diagnosis. We encourage you to view her video by clicking HERE. For more information about GI cancers click HERE. 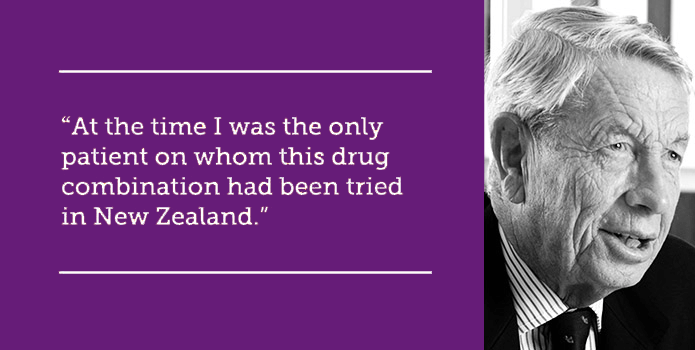 About seven years ago, I was feeling very comfortable in my position as Executive Chairman of 42 Below Ltd, a vodka and gin producer that had just been recognised by Deloitte as New Zealand’s fastest growing business. Family life was good and I had regularly been fuelling my passion for motor racing. 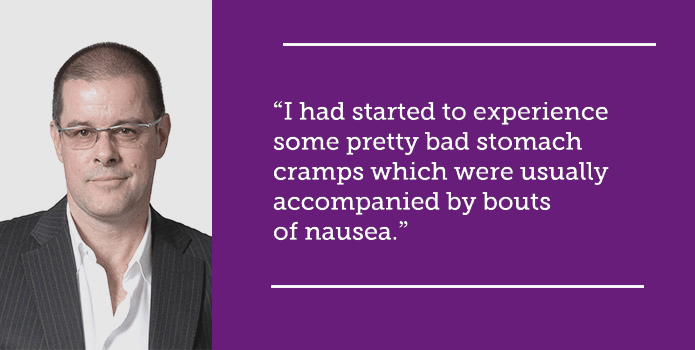 My only problem was that I had started to experience some pretty bad stomach cramps which were usually accompanied by bouts of nausea. Being a guy, I chose to ignore them for as long as possible, but the cramps kept getting stronger and came more regularly. It finally got to the stage where I had to visit my GP to find out what was wrong and stop the pain. He gave me a physical examination which didn’t show any problems, and organised a blood test as a further precautionary check. At my follow up appointment, he told me that my CEA markers (indicators of cancer) were normal but my red blood count was slightly low. He then said he would get me to go for a colonoscopy to check further as to what was causing my problems. I wasn’t too keen on that idea and resisted, but he insisted. I had the colonoscopy a few days later and had the instant diagnosis of bowel cancer. That same day, I was introduced to a surgeon who said I would have to have surgery immediately, as a cancerous tumour was almost totally blocking my colon. At this stage I was in shock and pretty much incapable of doing anything to help myself. Fortunately I have a great wife who stepped into the breach and booked me into hospital and arranged for surgery through our health insurance. The surgery went smoothly but I had to wait a few days for the histology to come back. It turned out that the surgeon had removed about a third of my colon and 45 lymph nodes. Unfortunately, the cancer had spread to three lymph nodes which meant a six month course of chemotherapy was needed. The chemo was administered through pills taken daily and a once every three weeks intravenous drip. For more information about GI cancers click HERE. She also talked to people with gastro-intestinal cancers. Her tips are below. When I look back, I knew something was wrong before I was diagnosed. Trust your instincts, and listen to your body. If you were driving a BMW and you heard a strange noise as you drove down the road, you would take it to a mechanic. And you would make sure they took you seriously. Importance of putting faith in your specialist. It’s so important to respect them and be able to be open and honest. Because I trusted by specialists, I was able to put all of my concern over my treatment into a little box, tie it up, and hand it over to them. All I had to do was listen to their advice, and be. Understand side effects, educate yourself as a patient or a caregiver. Save your energy. Don’t set yourself up for failure by overexerting yourself. Day by day, hour by hour. I didn’t block out the “what ifs”, but I didn’t dwell on them. I chose to be optimistic, yet realistic. I considered the “just in case” but again, I didn’t let myself dwell. “I never thought of myself as a victim. Don’t analyse what’s happened, focus on what’s next and what you need to do to keep going. Balance of perspective—you see the big picture, but break it up day by day. What do you need to get through the day. Decide for yourself what will make you feel good. And go with it. Do you have a mantra? Figure out what you need to do to give you strength. If you like music, listen to music. If you like to read, buy a book. If you don’t know, just try something. Cancer never affects just one person. When you’re going through something difficult, surround yourself with positive people who will make you feel strong. You will need to lean on them, and use their strength and energy. Choose people who want to be there and are strong enough to help you. To the people who are supporting someone who’s going through this, you need to realise when your bucket is empty too. One of the best ways to fill your bucket is to be kind to other people. When I was in the hospital, I had a friend take pictures of every bouquet of flowers sent to me. I turned each picture into a post card and sent it to the person who sent me the flowers with a message of thanks. Humour is key. Nemo, the ileostomy. My mother has a saying, life will give you rain drops, then it will give you hail, then it will give you bricks. Cancer was bricks for me. And when you get given bricks, you have to throw them back. When I refer to my experience with cancer, I call it my adventure. It was a second chance at life. It was an opportunity to extend my life, and I wasn’t going to let this beat me. I thought to myself, if I get to live until I’m 80, what do I need to do make my life more fun, more positive. Celebrate each day because life is worth fighting for. Laura is one of our gutsiest LoveYerGuts’ fundraisers. At the age of 26 years, Laura was diagnosed with stage 4 terminal bowel cancer. Having had a gastroscopy and colonoscopy which were both normal, she presented for a second time at the hospital emergency department with severe pain. The hospital then performed a laparoscopy and by chance the surgeon felt a mass just before completing the procedure. Click on Laura and Jeremy to watch Laura talk about the diagnosis. Obviously this totally changed her life as she was given just two years to live. After marrying her long term partner Jeremy in November last year, Laura felt she needed to put her feelings and the reality of her situation into words. 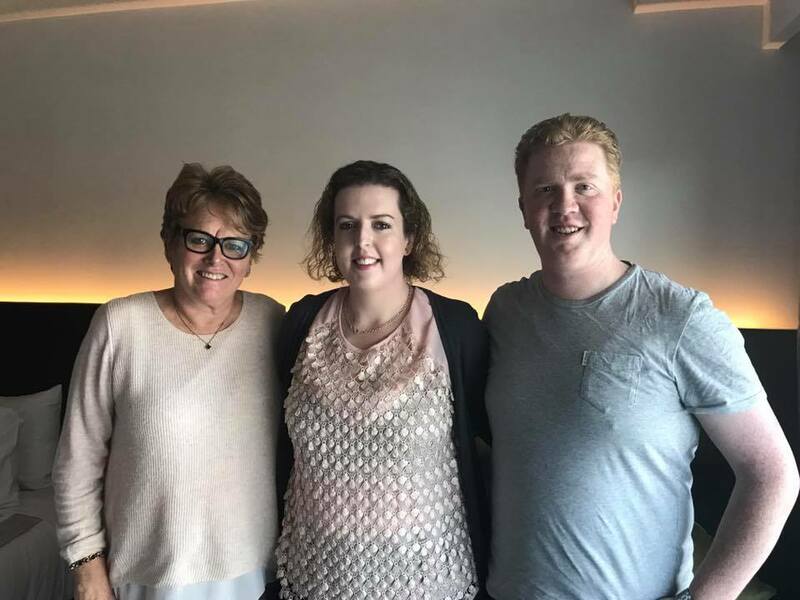 Her blog describes the paucity of resources for people with gastro-intestinal cancers let alone those who are diagnosed at a young age. Sadly we have to report Laura passed away early 2018 surrounded by her family. She fought a strong battle and will be missed. 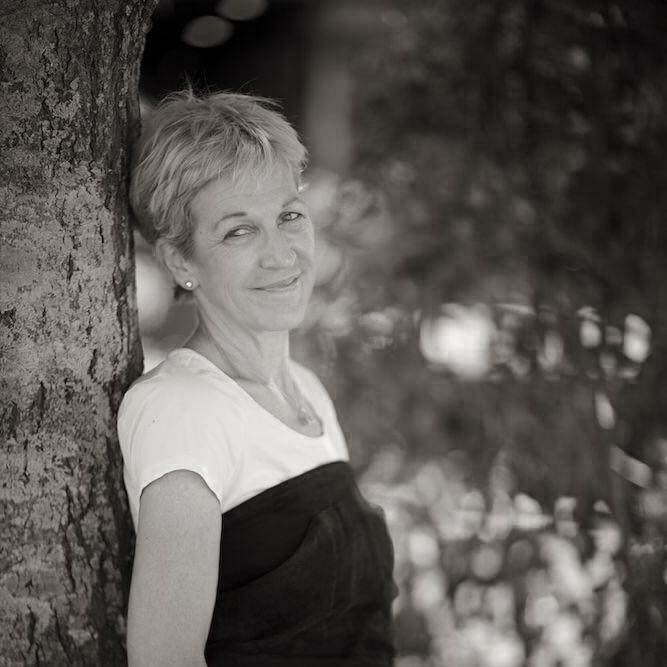 “In May 2006 I was diagnosed with a cancer in the tail of the pancreas. A distal pancreatectomy was attempted together with splenectomy on 1 June 2006 by Professor John Windsor, Professor of Surgery at the University of Auckland Medical School, who found that the cancer was too advanced to carry this out successfully. I was given a terminal outlook. My cancer was considered too extensive for radiotherapy and I was referred to Professor Michael Findlay, Professor of Oncology, who placed me on a chemotherapy treatment which was the result of a recent Italian clinical trial which had reported very good outcomes. It involved a 4 drug schedule using the drugs epirubicin, cisplatin, gemcitabine and capecitabine. The treatments were planned to be in 3 cycles of 8 weeks administered 2 weekly with the exception of the capecitabine which was taken orally twice-daily every day. A CT scan was taken at the end of each cycle. In the event we completed 11 treatments by early December. The CT scans had showed up progressively very good results to the point where I was able to be presented back to the surgeon in December who agreed to operate, subject to another scan. This was done and showed ongoing response to the chemotherapy. A distal pancreatectomy and splenectomy was undertaken on 22 February 2007 by Professor Windsor, entirely successfully this time, together with removal of a lymph node. The subsequent pathology was very encouraging, showing histologically that there was no cancer left in the pancreas. I felt well throughout and used acupuncture as an aid to counter the chemotherapy effects and transcendental meditation which I have practised for many years. My wife ensured that we were careful with diet.